The Zonas Altos (high zones) refer to the area’s altitude. The area is known primarily for its parish churches with high towers. Religion is foremost in this area, with many pilgrimages, charreds and festivals being held. 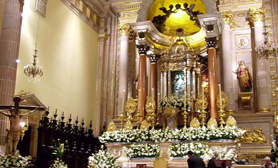 It is home to one of the most famous pilgrimage sites of Mexico, called the Virgin of San Juan de los Lagos. Religious tourism is a major economic draw in the area, with the town of San Juan de los Lagos completely reliant on serving the incredible 7 million religious visitors who come each year. The area also has some old haciendas open to tourists which remain extremely popular with visitors. 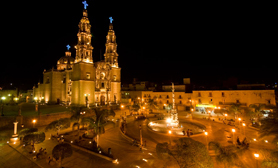 Jalisco Mexico is just one of the websites Travelucion operates and is part of over 800 travel websites for over 130 countries worldwide. Our Mexico Collection of 70+ websites covers Mexican States, Cities and towns, along with 10 Mexico special interest websites. If you are traveling to Mexico, our websites will assist you in finding the right Mexican destination to suite your tastes and provide you with invaluable information before traveling to Mexico.